Here at the Hart Law Firm, we know construction. Our friends and family work in the construction industry. Before and during college, David Hart worked on construction sites as a surveyor. Our construction injury attorneys know construction safety codes and modern technology. We search safety records, take depositions, and have pioneered the use of video technology to illustrate the ins and outs of each case and the effect a serious injury can have on our clients. While not always serious, construction injuries can leave the victim unable to work for either a short time, or in some cases, may even leave them permanently disabled. 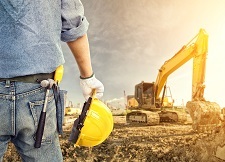 Property owners, general contractors, construction managers, construction companies and equipment manufacturers may all be liable if you've been injured on the job. Our lawyers work tenaciously to help you get all the compensation to which you may be entitled—including compensation for pain and suffering, emotional trauma, medical costs, lost income and future earnings. If you have been injured or a family member has been injured or killed as a result of working construction, the experienced workers' compensation attorneys of The Hart Law Firm are committed to obtaining all the results you need and deserve. From our Colleyville office we're able to serve the entire Dallas Fort Worth region. Contact us online or call our personal injury and wrongful death attorneys directly at 817-380-4888 to schedule your free consultation. ?How much will it cost me to hire a construction accident attorney? ?Crane accidents are one of the four major risks for construction workers, but why are they so dangerous? ?Who is most at risk for having an accident on a construction site?